For years and years Milwaukee artists have put in work to gain a widespread audience and this year, they may finally get a chance at a big break. 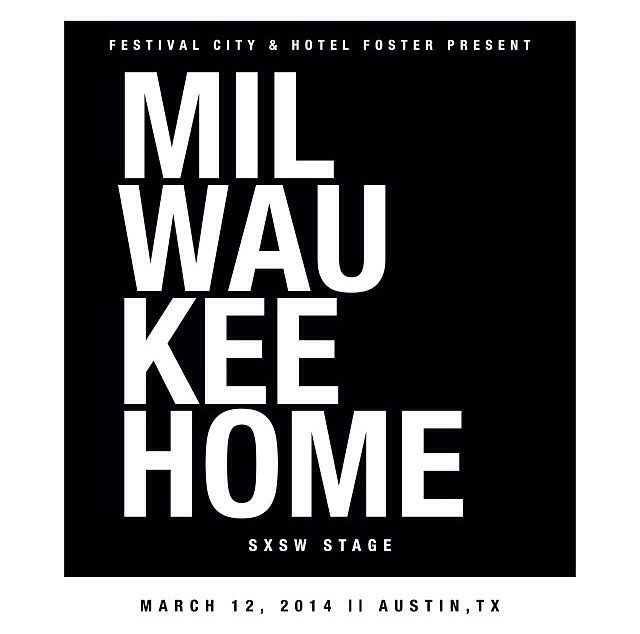 MilwaukeeHome has teamed up with The Hotel Foster and Festival City to feature a day-long stage at the SXSW festival in Austin, TX on March 12, 2014. South by Southwest (SXSW) is a set of film, interactive, and music festivals and conferences that take place every spring in Austin. It began in 1987 and has grown to become one of the largest music and arts festivals in the world. The music portion of the festival will run March 11-16, with the #MilwaukeeHome stage going live on the 12th. The organizers wanted to put together an outlet for Milwaukee artists of ALL genres to showcase their talent, and in an effort to include as many participants as possible, have made it free for all approved acts to perform. 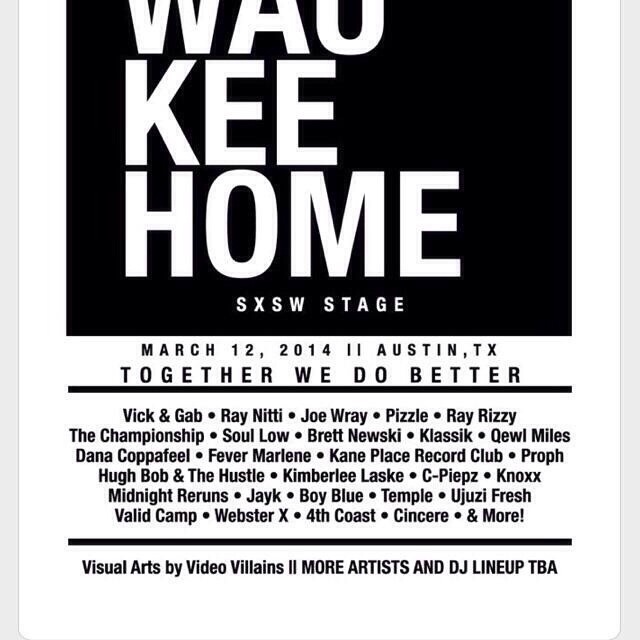 All interested artists can fill out this form explaining why they should be chosen to represent Milwaukee on the #MilwaukeeHome stage at SXSW. We were definitely excited when we first got wind of this amazing opportunity for not only Milwaukee artists, but for the city as a whole. With the buzz that it’s been getting this far, we are sure that the #MilwaukeeHome stage will be a MAJOR success for everyone involved! We will be adding any updates as soon as we get them so make sure to check back in with us.